You may have heard that television icon Richard Dawson passed away this weekend. 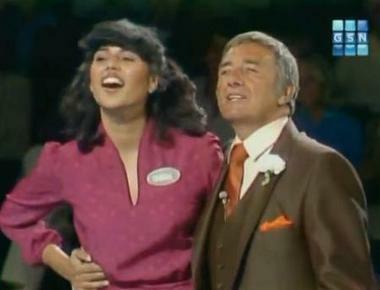 Three-piece suit, flower in lapel, groping a female contestant. I have always loved Richard Dawson. I used to watch "Match Game" every day after school, and of course he was my favorite panelist. Yes, I watched "Match Game '73" in 1973.
you get the picture, I'm old. 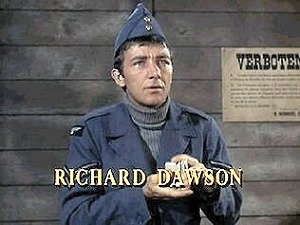 And oh my God, I adored Richard Dawson on "Hogan's Heroes." When I was eleven or 12 or so, I was just obsessed with "Hogan's Heroes" repeats. And I thought Richard Dawson as Peter Newkirk was the greatest sitcom character ever. I had a light blue turtleneck just like his and everything. Very few of the many, many obituaries and tributes that have been published since his death have mentioned his brief stint on "Laugh-In," another show I love. and the Trio cable network. 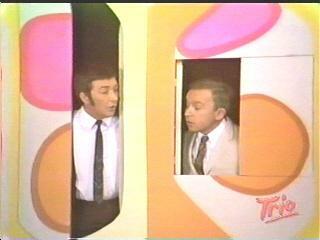 And I haven't seen one single reference to the old (debunked) rumor that used to go around that Richard Dawson played one of the "Lollipop Guild" Munchkins in The Wizard of Oz. I think the rumor had it he was the one in the middle. Come to think of it, he did have a penchant for plaid sportscoats in the 70s. Precocious Daughter loves watching "Match Game" repeats with me. Richard Dawson is her favorite, too. She was sad to hear he had died. So there's something I'm doing right by way of teaching her about culture. 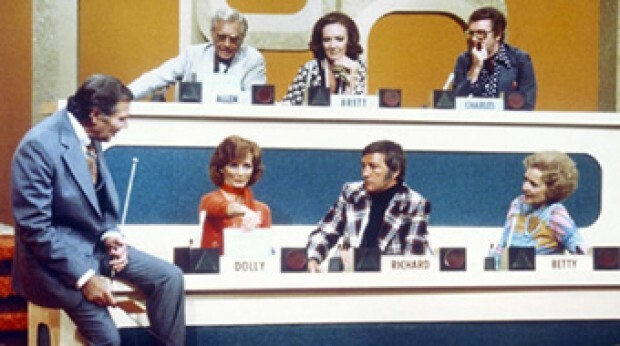 Richard Dawson was a consummate television personality: Smooth, articulate, witty, roguish, charming, and just standoffish enough to hint at a darker side. Plus, he ended up marrying one of the female contestants he kissed on "Family Feud," which is just about the coolest thing ever in my book. 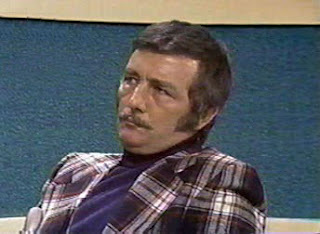 During his long career (he retired after hosting one last "Feud" season in 1994-95) Richard Dawson became an expert at playing the character of Richard Dawson. He was someone everyone wanted to know, party with, share a smoke with. Kids and grandmothers adored him, guys thought he was an OK bloke, and the camera loved him. There are probably a few entertainers around today who sorta-kinda-maybe occupy the same position in the popular consciousness, but none that spring immediately to mind. 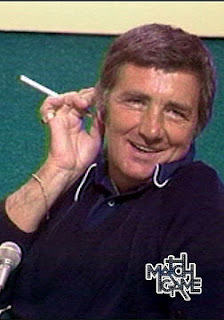 I'll miss you, Richard Dawson. I feel as if I've lost a friend. Thanks for the memories. 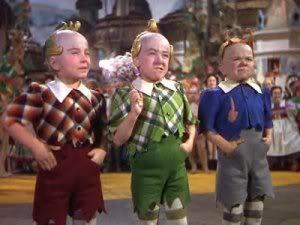 He was def not a lollipop kid.. they were all midgets that belonged to a troup of 20 midgets. there was a Sid Dawson that played one of the winged monkeys. maybe that's where the mixup is.